Following April's decline, sales of previously-owned homes rebounded last month, with low inventories helping push the median sales price to a new high. The National Association of Realtors (NAR) reports total existing-home sales -- completed transactions that include single-family homes, townhomes, condominiums and co-ops – were up 1.1% in May to a seasonally adjusted annual rate of 5.62 million. That's 2.7% above a year ago and the third highest rate over the past year. "The job market in most of the country is healthy and the recent downward trend in mortgage rates continues to keep buyer interest at a robust level," said NAR Chief Economist Lawrence Yun. 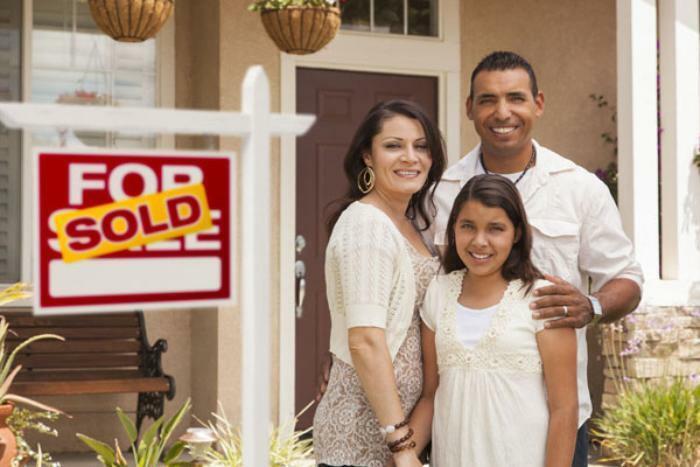 "Those able to close on a home last month are probably feeling both happy and relieved. Listings in the affordable price range are scarce, homes are coming off the market at an extremely fast pace and the prevalence of multiple offers in some markets are pushing prices higher." The median price for all housing types of existing homes was $252,800 in May, topping last June ($247,600) as the new peak median sales price. The increase is 5.8% from May 2016 ($238,900) and marks the 63rd straight month of year-over-year gains. Existing-home inventory at the end of May was up 2.1% to 1.96 million existing homes available for sale. That's down 8.4% from a year ago (2.14 million) and has fallen year-over-year for 24 consecutive months. Unsold inventory is at a 4.2-month supply at the current sales pace, versus 4.7 months a year ago. Existing-home sales in the Northeast jumped 6.8% in May to an annual rate of 780,000, and are now 2.6% above a year ago. The median price rose 4.7% over the same period a year earlier to $281,300. The South enjoyed a sales gain of 2.2% to an annual rate of 2.34 million, and now stand 4.5% above where they were at the same point last year. The median price posted a year-over-year gain of 5.3% to $221,900. Sales in the West were at an annual rate of 1.22 million -- up 3.4%, and are now 3.4% above a year ago. The median price in the West was $368,800, up 6.9% from May 2016. The only negative note was in the Midwest, where sales were down 5.9% to an annual rate of 1.28 million last month, and are down 0.8% below May 2016. The median price, meanwhile, rose 7.3% to $203,900.